The past is a foreign country, or so they say. No doubt Last Great Dreamers would agree with that. Barely 18 months has passed since their last album – their first all new full-length since their 2014 rebirth – and now the UK power-pop rockers step up with a freshness and fire that would put many new bands to shame. Holed up in Oxfordshire’s Henwood Studios with producer Pete Brown (son of Joe, brother of Sam), original Dreamers Marc Valentine and Slyder, together with drummer Denley Slade and bassist Steve Fielding, have laid down their most complete and accomplished album yet. 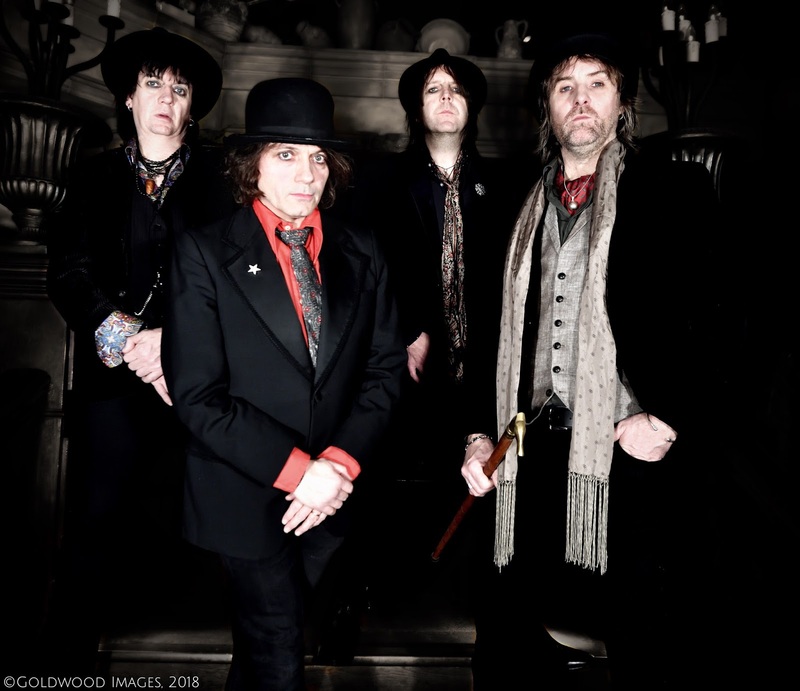 13th Floor Renegades comprises eleven infectious punk-pop floorshakers, replete with dynamic shoutalong choruses and more hooks than audition day for a particularly piratical panto season. Power-pop crunch and effortlessly melodic riffing rule the roost, letting up only occasionally for the twinkling mandolin of folky Faces-ness. Originally coming together in London during the early 90s, Last Great Dreamers quickly became darlings of the glam-punk scene centred around Soho. Gaining props for debut album Retrosexual, earning a nomination for Best New Band in the prestigious Kerrang! awards, and supporting major US touring bands, they couldn’t face off the juggernaut of Britpop and went on hiatus. Since their return, they’ve released two albums – the rarities set Crash Landing In Teenage Heaven and the all new Transmissions From Oblivion – and toured widely, both as headliners and support to the likes of Cherie Currie, Bernie Tormé and The Quireboys. .....for Roots, Folk, Punk, Blues, Rock, Americana and all points in between. Specialising in print and online media, MuleFreedom PR provides advice to the signed and unsigned about getting your music out there, offering PR solutions for all budgets.Email info[at]mulefreedom[dot]co[dot]uk or call +44(0)7792 897035 for a chat.